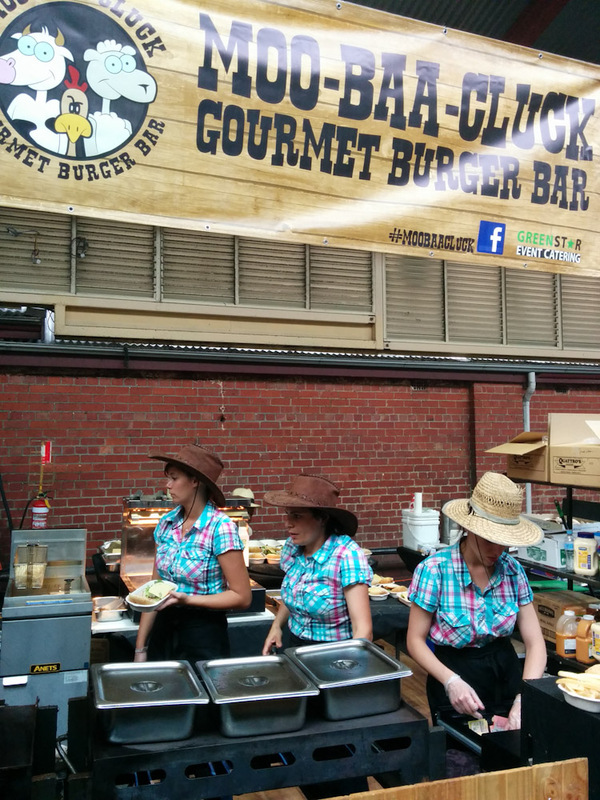 The Queen Victoria Market hosts a whole lot of market events. You have to question where they are going with this one. Who am I to kid, this place just rocks. I’ve never had the opportunity to kick back and enjoy the wonders of this place and watch it come to life. During the day and on the weekends the market is a hive of activity sharing the best of local produce, great souvenirs and even better food. In saying that, the night markets is when it truly comes to life. In the summer of 2015, the night markets are currently running from 5 November 2014 – 25 March 2015. And to be honest, I will be there most Wednesdays I can just to sample some of the amazing items on offer. 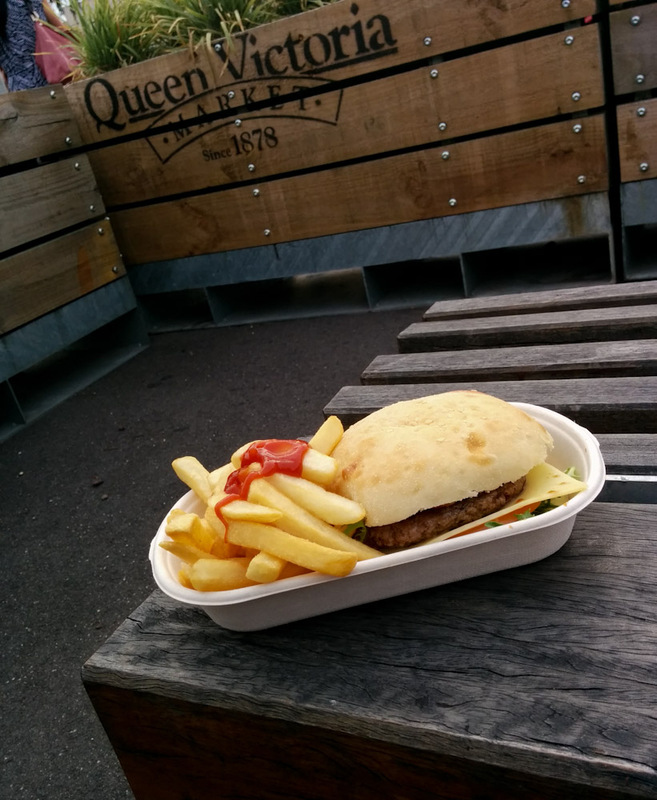 This time, I ventured to Moo Baa Cluck – gourmet burger bar that more than lived up to it’s name. Having the BBQ Beef Burger with bacon, aoili, lettuce, tomato and bacon…I was in heaven from the moment I took a bite. The sourdough bread left it’s traces on my lips and my shirt (damn it… I have to do another load of washing this weekend). Having said this, you can definitely give the chips a miss. It’s not that it’s bad…but meh, I’ve had better. At $16, it was a worthy adversary to some of the other burgers I have had. For all you burger afficianados, please make it a point to go to this place and enjoy some delicious and scrumptious food. (I think I have managed to make myself hungry again). Add in a good conversation with an old friend, a beautiful outdoor seating and a setting sun and you’re in for quite a treat. Definitely go there when it’s on. You will be glad you went. Oh and make sure you bring cash….cause ATM machines are queued up and there is no “pay wave” bonanza going on in this market. I guess there’s something about rustling with coins that just makes me nostalgic. Maybe I can finally put all those loose change I have gathered to some good use.